Set on Mauritius' east coast, the glittering white beaches and blue waters of Belle Mare entice visitors from all over the world. You'll explore the less-touristy side of things at Anse La Raie Beach and Grand River South East Waterfalls. 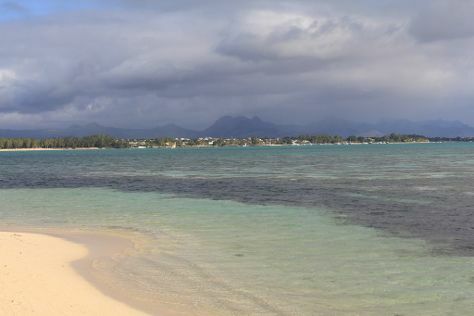 You'll get in some beach time at Mont Choisy Beach and La Cambuse Beach. Explore the numerous day-trip ideas around Belle Mare: Cap Malheureux (Notre Dame Auxiliatrice & Ile Plate Beach), Ile des Deux Cocos (in Blue Bay) and Plage de Trou aux Biches (in Trou aux Biches). There's lots more to do: kick back and relax at Bras d'Eau Public Beach, tee off at Ile Aux Cerfs Golf Club, take in the spiritual surroundings of Sagar Shiv Mandir, and get great views at Siva Soopramaniar Kovile Bel-Air Riviere Seche. Discover how to plan a Belle Mare trip in just a few steps with Inspirock's itinerary builder. Ljubljana, Slovenia to Belle Mare is an approximately 19-hour flight. You'll lose 3 hours traveling from Ljubljana to Belle Mare due to the time zone difference. Expect warmer temperatures when traveling from Ljubljana in December; daily highs in Belle Mare reach 34°C and lows reach 27°C. Cap off your sightseeing on the 14th (Fri) early enough to travel to Rodrigues Island. Start off your visit on the 15th (Sat): step off the mainland to explore Île aux Cocos and then stroll through Parc Francois Leguat. Get ready for a full day of sightseeing on the next day: contemplate in the serene atmosphere at Cathédrale St Gabriel, then take a peaceful walk through Grand Montagne Nature Reserve, then enjoy the sand and surf at Trou d'Argent Beach, and finally pause for some serene contemplation at St Johns Church. For reviews, where to stay, other places to visit, and other tourist information, use the Rodrigues Island trip itinerary builder app . Do a combination of car and flight from Belle Mare to Rodrigues Island in 3 hours. Alternatively, you can do a combination of car and ferry. In December in Rodrigues Island, expect temperatures between 34°C during the day and 28°C at night. Finish up your sightseeing early on the 16th (Sun) so you can travel to Le Morne. Visiting Seven Colored Earths and Le Morne Beach will get you outdoors. Take a break from Le Morne with a short trip to Gris Gris Beach in Souillac, about 42 minutes away. There's still lots to do: contemplate the long history of The Martello Tower Museum, don't miss a visit to Crystal Rock, take in the dramatic natural features at Le Morne Brabant, and stroll through Heritage Nature Reserve. To find ratings, where to stay, more things to do, and tourist information, refer to the Le Morne driving holiday planner. Do a combination of flight and car from Rodrigues Island to Le Morne in 3 hours. Alternatively, you can do a combination of ferry and car. 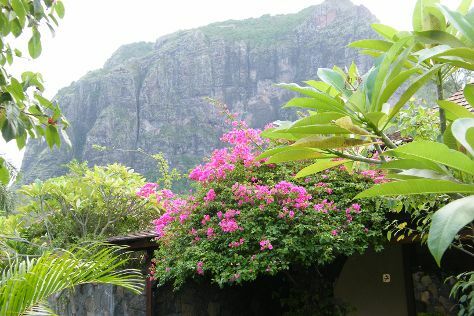 In December in Le Morne, expect temperatures between 34°C during the day and 27°C at night. Finish your sightseeing early on the 19th (Wed) so you can travel back home.